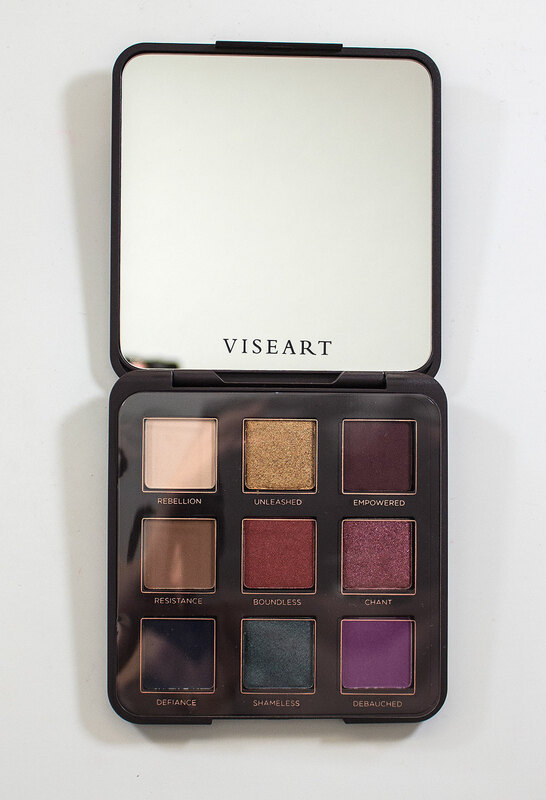 The VISEART Libertine Eyeshadow Palette retails for $49US and $72CAN for 0.40 oz/ 14g Eyeshadows. I did buy this with the 20% off sale at Sephora. 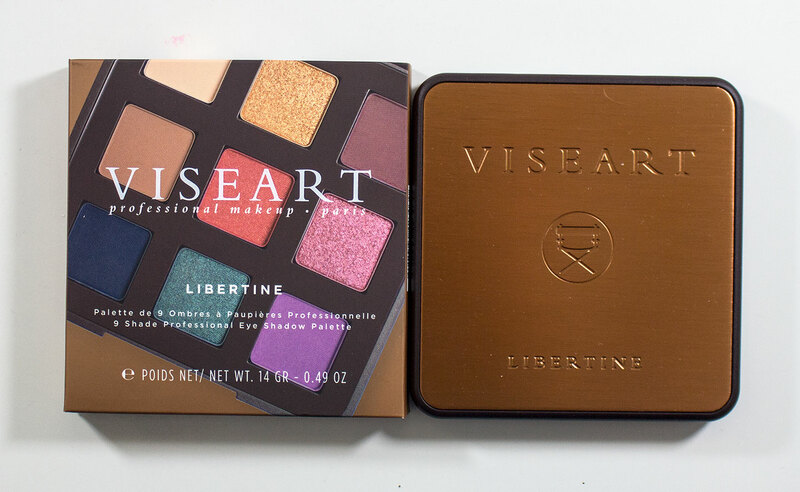 VISEART Libertine Eyeshadow Palette box art and palette lid. 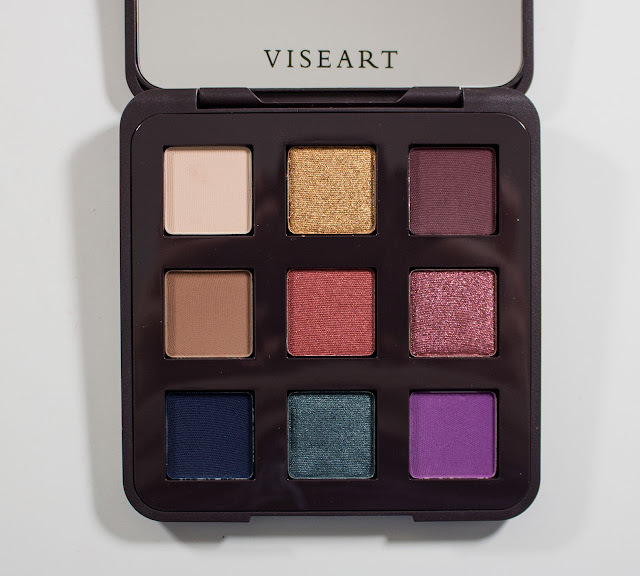 VISEART Libertine Eyeshadow Palette box art and palette bottom. VISEART Libertine Eyeshadow Palette box art side. 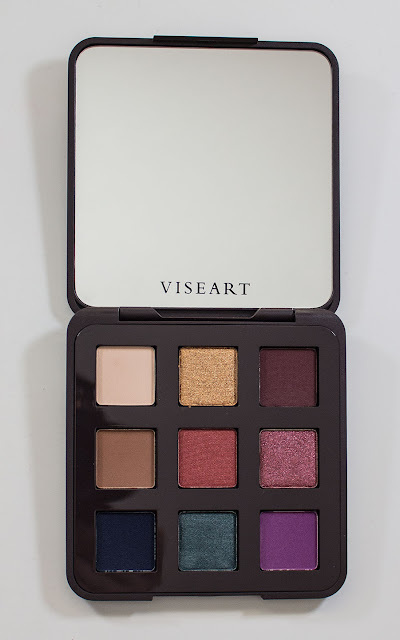 VISEART Libertine Eyeshadow Palette box art top. VISEART Libertine Eyeshadow Palette slide in plastic cover with names. VISEART Libertine Eyeshadow Palette in Rebellion, Unleashed, Empowered, Resistance, Boundless, Chant, Defiance, Shameless, & Debauched. Talc, Mica, Octyldodecyl Stearoyl Stearate, Zinc Stearate, Calcium Sodium Borosilicate, Diiron Trioxide, Silica, Aluminum Oxide. May Contain (+/-): Tin Oxide (Ci 77861), Titanium Dioxide (Ci 77891), Iron Oxides (Ci 77491, Ci 77492, Ci 77499), Red 40 Lake (Ci 15850), Carmine (Ci 75470), Black 2 (Ci 77266), Ferric Ferrocyanide (Ci 77510), Manganese Violet (Ci 77742), Synthetic Fluorophlogopite, Ultramarine Blue (Ci 77007). The pearl/shimmer shades do pack a punch regarding pigmentation, and the texture is buttery which allows you to sheer out nicely as needed but also intense enough to last on the skin without the need of a primer. But a primer makes these shades last all day. The Matte shades are is still very pigmented formula some shades are smooth to apply and build up while other like Empowered and Debauched takes more time and a base to work better. Rebellion is a pale beige with a matte finish. Unleashed is a bright gold with a shimmer finish. Empowered is a dark berry with a matte finish. Resistance is a taupe brown with a matte finish. Boundless is a dusty crimson with a pearl finish. Chant is a rich plum/burgundy with a shimmer finish. Defiance is a rich midnight blue with a matte finish. Shameless is a deep smokey teal with a shimmer finish. Debauched is a rich lavender with a matte finish. This has a semi-opaque appearance. The tray insert is a plastic sheet with the eyeshadow names printed on with a plastic tab that holds it in place. Good job on that as you can easily remove and put in back into place. Daylight swatches: Rebellion, Unleashed, Empowered, Resistance, Boundless, Chant, Defiance, Shameless, & Debauched. 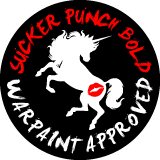 Flash swatches: Rebellion, Unleashed, Empowered, Resistance, Boundless, Chant, Defiance, Shameless, & Debauched. 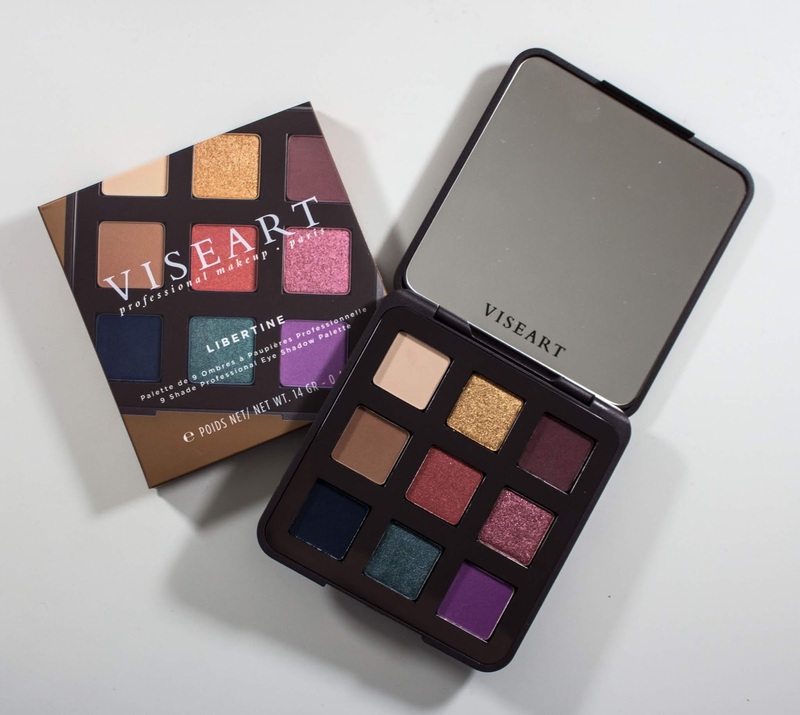 VISEART is a brand that if your a working makeup artist you CAN get an industry discount. But for the rest of us, I only buy this brand with a retailers sale or at a Makeup Tradeshow. it expensive but if you love the majority of the shades in this palette its worth it even with the dryer matte simple because the pigmentation is there. This palette is the retail consumer line which is designed for those that want a rounded palette rather than an artist 12 palette that is designed for matching textures and formulas. As much as I love this palette thair 12 pan palettes are perfection by comparison. 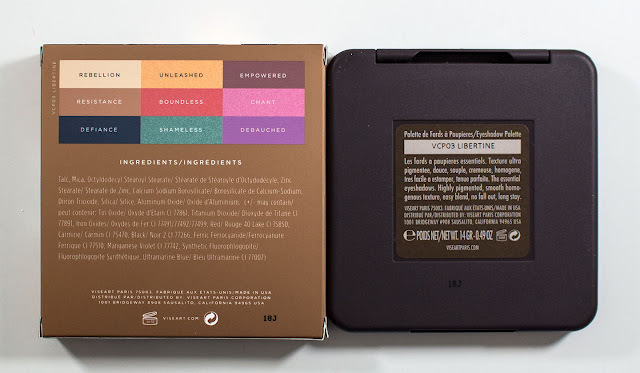 ;) This one if for that want a well rounded on the go palette which is why the packaging fell more commercial compared to the main eyeshadows packaging.